Manuel Puro’s film career began in 1995 as an assistant to casting director Jeremy Zimmermann, working across film and television projects with directors including Guillermo del Toro, Richard Attenborough and Nic Roeg. In 2000 he was headhunted by Michael Foster, then co-chairman of Europe’s leading talent agency ICM, to assist with an A-list roster of clients including Hugh Grant, Rachel Weisz, Sean Bean, Michael Caine, Kristin Scott Thomas, Ben Kingsley, Julie Christie, and the presenters Chris Evans and Jonathan Ross. From mid 2002 Manuel was head of development at Ska Films –Matthew Vaughn and Guy Ritchie’s production company – responsible for their full slate of film and television projects. Between 2004 to 2007 he also developed independent film projects with Stephen Frears, Working Title, the Film Consortium and the UK Film Council. In January 2007 he founded Puro Casting, a full service casting company working across feature films, television, video games, commercials and music videos. Manuel is regularly invited to host mentoring sessions with organizations such as the National Film and Television School, iFeatures, the Edinburgh Film Festival and the Directors Guild of Great Britain. He has held casting workshops all over the world. 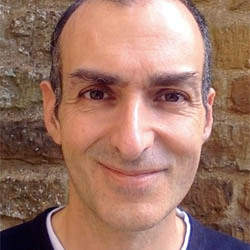 Manuel was the winner of Casting Call Pro’s inaugural Casting Director of the Year 2013 Award – voted by actors for the casting director they felt most comfortable with and who they thought got the best out of them. Most recently Manuel has finished casting Mute for Duncan Jones, and War for the Planet of the Apes, the first in-house video game to come out of Andy Serkis’ The Imaginarium. Meet The Experts is a great place to test the strength of your project.